Our Mission is to exceed our customers expectations in quality, delivery, and cost through continuous improvement, communication, and customer interaction. Standard, custom, and unique – we tackle all your projects. Let Falcon provide you solutions. Falcon Control Systems is a manufacturing and service company based in Houston, Texas. 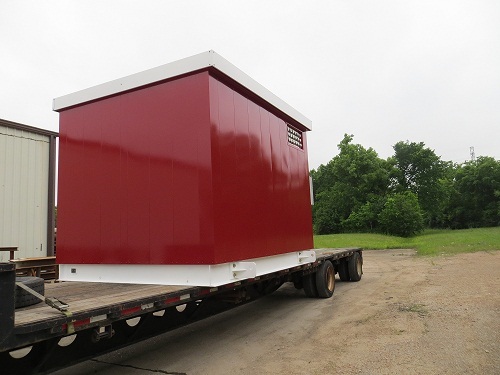 Falcon designs and fabricates modular and industrial buildings for our valued customers in the Oil & Gas, Energy, Utilities, Pipeline, Refinery, and Petrochemicals Industries. Falcon Control Systems is located in the energy capital of the world – Houston, Texas. We proudly offer turnkey solutions to industries including Oil & Gas, Energy, Utilities, Pipeline, Refinery, Food Processing and Petrochemicals. Our team offers over 20 years in combined experience in the design and manufacturing of industrial buildings.